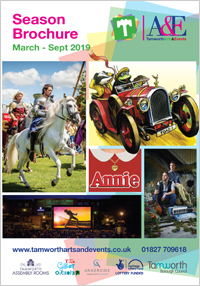 The council’s Arts & Events team has been working hard to create another fantastic programme of entertainment for Tamworth residents and visitors to the area to enjoy this year. Dates for the 2019 calendar have now been confirmed and they are all listed here for people to add to their diaries. The outdoor events programme kicks off with the return of the massive St George’s Day extravaganza on Saturday, April 20. This huge family event has become known across the country, attracting thousands of visitors for wall-to-wall medieval-themed fun, including live jousts, dragons, treasure trail, a living history encampment and endless family activities. Outdoor theatre will be back in Dosthill Park for a fourth year with an award-winning performance provided by Quantum Theatre. Dosthill Park will provide a perfect setting for a delightful adaptation of Kenneth Grahame’s Wind in the Willows. This heart-warming tale of friendship and adventure is perfect for the whole family. Local bands, singers and musicians will take to the historic Castle Grounds Bandstand for a series of weekend performances throughout the summer. Audiences will be able to enjoy picnics in the park accompanied by a variety of music to suit all tastes. Dates and full details of the programme will be announced nearer the time. Audiences will again be able to enjoy classic movies on a big screen in the picturesque outdoor setting of the Castle Grounds. The open air cinema has been a big hit in Tamworth for the past six years and is usually quick to sell out. This popular family event is back on September 14 bringing fairground rides, stalls, games, inflatables, a children’s zone and much more to the Castle Grounds in a celebration of the people and organisations who make Tamworth a great place to live and visit. The free fireworks event is always one of the most popular on the town’s calendar. The whole family will be able to enjoy an evening of fun and entertainment, including fire performers, face painting, a sparkler zone, family activities, food stalls, fairground rides and an impressive display of fireworks. Last year’s event – ‘We Will Remember 2018’, marked the end of four years of special events which have been held in Tamworth to commemorate each year of the First World War. This year’s Remembrance Day commemorations invites people to the traditional parade and church service. Another jam-packed day of festive fun for the whole family has been planned to start the Christmas season in style. Starting at 1pm, festivities will include a programme of live music, market stalls, lantern parade, St Editha’s Church Christmas Tree Festival, dance performances and more. 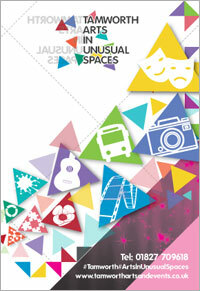 Cllr John Chesworth, Tamworth Borough Council’s Cabinet member for Culture and Operational Services, said: “Tamworth has become known across the region and even across the country for its outdoor events – many of which are provided for residents and visitors to enjoy free of charge. We remain committed to ensuring we provide a variety of fun and affordable entertainment and activities for families.